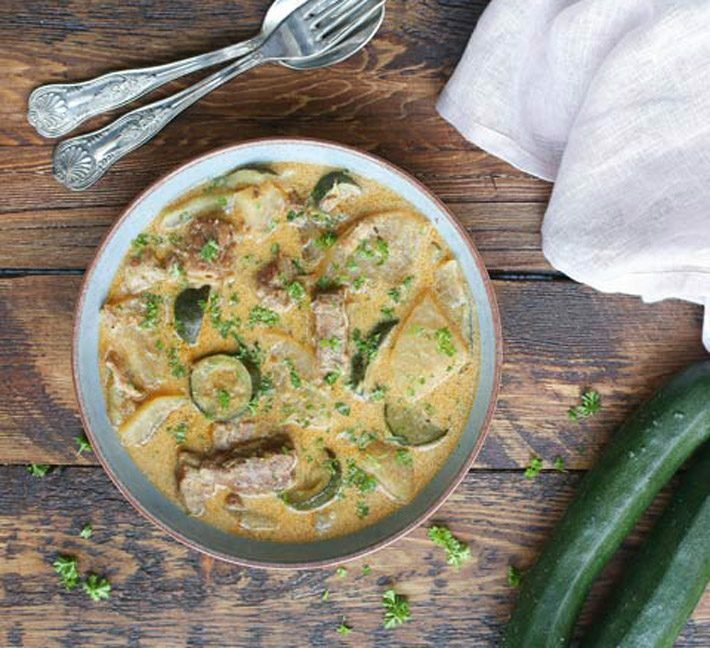 Pork And Kohlrabi Stew (Low – Carb, Keto, Paleo). Pork And Kohlrabi Stew is a great meal for an informal dinner since you can prepare it two days in advance and keep it in the refrigerator until you reheat it on the stove for your guests. Using a paper towel, pat dry the pork and season with salt and pepper from both sides. Cut into medium-large chunks, about 1 – 1 ½ inch (2-4 cm) thick. Grease a large heavy-bottom pot or Dutch oven with ghee and heat over a medium-high heat. Once hot, add the pork. Add the spices: paprika, onion powder, caraway and allspice. Cook over a medium-high heat for a few minutes, until browned from all sides. Then, pour in the broth and bring to a boil. Once boiling, reduce the heat to low and cover with a lid. 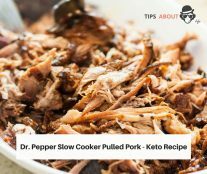 Cook for 1 hour and 15 minutes or until the pork is tender. Check every 20 minutes and add water or more broth if needed. Meanwhile, peel and slice the kohlrabi into ½ inch (1 cm) pieces. Once the pork is tender, add the kohlrabi slices and cover with a lid. Cook until tender, for about 30 minutes. Slice the zucchini into ½ inch (1 cm) pieces. After the kohlrabi has been cooked for 30 minutes, add the zucchini slices to the pot and cook for another 10 minutes. Finally, prepare the creamy egg mix for thickening the sauce. Whisk all the egg yolks with coconut milk (or cream). When the zucchini is tender, slowly pour in the egg & coconut milk mix wile stirring. Cook for about a minute and then, turn off the heat. Season with more salt and pepper to taste. Add freshly chopped parsley or chives. 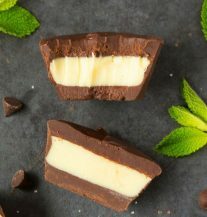 Serve warm or let it chill and refrigerate for up to 5 days or freeze it in batches and store for up to 3 months.